100TB.com is a member of UK2 Group. UK2 Group is one of the largest hosting groups in the United Kingdom. 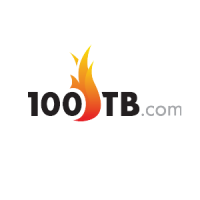 100TB.com offers server hosting to all sectors in the society whatever the size of their business. 100TB provides the latest in cutting edge technology, backed by their powerful network of redundant state-of-the-art data centers. The company’s data centers all feature advanced levels of security to ensure the protection of their customers’ sensitive data. True to its name, 100TB.com gives every server an unthrottled 100Mbit port and 100TB of unhampered tier one bandwidth per month. Support teams based in the US and UK ensure that customers also get the help they need, when they need it. Since its inception, 100TB.com has been providing high quality web hosting services to individuals as well as small to medium-sized businesses. The 100TB.com of the UK2 Group has introduced the most up-to-date in power and performance in dedicated server hosting. This web hosting specialist has superior Super Micro dedicated servers which affords end users the most modern in revolutionary technology. 100TB.com owns bandwidth which furnishes servers 1000Mbit port and 100TB (100,000 GB) of unhindered tier every month. These data centers have servers which are supported by a powerful network of high-tech data facilities with sophisticated levels of security. It guarantees outstanding 24/7/365 support with teams from the UK and USA. 100TB.com uses XEN which is a Hypervisor-providing service which enables various computer operating systems to perform on the same physical hardware. This ensures that clients have speedy provisioning and less difficulty compared to other virtual solutions and migration so you do not go through downtime issues. Certain cloud service providers have a fixed amount of resources. This reduces scalability for websites which can draw huge volumes of traffic. On the contrary, the Cloud Brain of 100TB.com can assign the RAM and CPU of personal computers to provide instantaneous scalability to sustain your enterprise. All Cloud Storage Units are energized by 48 drives in RAID10 (Redundant Array of Inexpensive Disks) and reproduces real time using Multi-path I/O to provide users with 96 drives of full redundancy. The network was developed both for operation and redundancy. It has a comprehensive 10Gbps network and redundant paths to make certain your data is safe and performing continuously. It is very easy to use. You only need five minutes to install your Content Delivery Network. This CDN facilitates the availability of your content from hundreds of servers simultaneously instead of only one host. It brings your content closer to your visitor’s connection point and guarantees faster loading time. Clients can expect their content to be served through a network of dedicated and high-quality servers across the globe that collaborates closely to deliver your content. It is highly reliable especially if you require more power and assured uptime. It is possible to increase the number of nodes and rely on your CDN for security and stability. Besides, all content formats are acceptable. It does not matter if you are delivering real-time video streams or downloadable objects. Your CDN makes your content available to users in no time regardless of format. You can also look forward to 24/7 support from the competent support personnel of 100TB.com. The 100TB Reseller Partner Program grants you complete access to inexpensive services, first-class support, and marketing aids. These sales tools permit you to offer professional services directly to your clients minus the infrastructure and operating costs that comes with doing it yourself. You can depend on R1Soft backup software for your servers that allow nonstop data protection. Server Monitoring is free of charge and included in all servers. There is a so-called on-the-go flexibility and unparalleled control over technical resources. The trust certificate is provided by COMODO SSL for more secure transactions. 100TB.com hosting resellers can look forward to more profit.